Interactive concepts dress up a variety of new titles for girls. 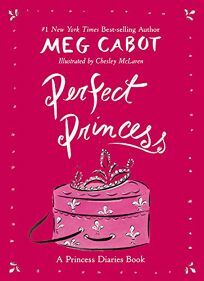 On the subject of royal dos and don'ts, Perfect Princess: A Princess Diaries Book by Meg Cabot, illus. by Chesley McLaren, provides witty history and how-to information regarding princess-like behavior in a paper-over-board, deep pink package. The narration alternates between main characters from the series, and dishes up dozens of royals, both real (Grace Kelly and Queen Noor) and fictional (Wonder Woman and Snow White). Humorous sidebars offer beauty tips (""Be like Leia: Experiment with new hairstyles! "").